In July Dubspot hosted a live streaming workshop with Brazil’s Percussivo Mundo Novo (which translates into “New World Percussion” in English.) Lead by the band’s songwriter and video game controller wiz Mikael Mutti, PMN truly embodies the vision their band name suggests. In this video re-cap of PMN’s Dubspot workshop you’ll witness Mutti perform synth magic on his iPad-driven Guitar Hero controller before taking to the Nintendo Wii controller for a drum solo. 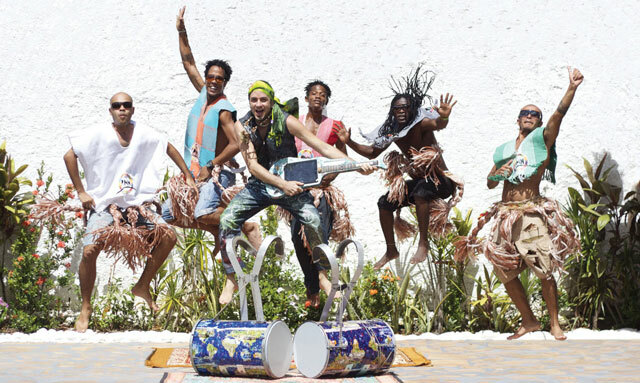 In addition to demonstrating his 21st century production techniques, Mutti discusses how his roots in Afro-Bahia rhythms are an integral element in PMN’s sound. By capturing a vast array of sonic possibilities with new technology, PMN maintains the irreplaceable sound quality and energy that comes with live drum performance.